Two pleasures too often denied are baking and writing. I created this blog to rediscover both. Learning how to take an appetizing food photo has been an unexpected bonus. Creation, be it recipes or fiction, should be a pleasure, not a chore- to that end, most recipes were tested only once but I won’t post (no matter how many pictures I took or how pretty it looks) if it didn’t pass the taste test. And the other content? Some is edited within an inch of its life, some stream of consciousness. I hope you can enjoy both. Semi-finalist in the Pillsbury Bake Off in the only year they had semi-finalists! (The picture below and the blue apron are the only relics of that brief shiny almost moment) and author of some prize-winning fiction. I’ve worked in all sorts of restaurants and bars and get irrationally irritated when I see a bartender shake a Manhattan, especially in this town (Portland, OR), where they ought to know better. I believe in buying local and sustainable when ever possible but try not to shove it down your throat or list it in the recipes. You can read more about that here. You should know I like spice, and garlic. So if you aren’t keen on heat please scale back accordingly. Recipe Fiction can also be found on Facebook, Pinterest, Twitter, and Instagram. Or visit my galleries at Tastespotting and/or Foodgawker. You are welcome to post properly attributed photos from my site as long as you don’t publish the whole recipe and always link back to the source. Just let me know. Thoughts, ideas, comments, consulting or affiliate opportunities? I’d love to hear from you. If you want to contact me directly, please, feel free to email me at recipefictionDOTcomATgmailDOTcom. You can find some of my other work at Serious Eats , 100wordstory, and the Vestal Review and over at the old blog (She ain’t what she used to be) Swallowing The Seasons. 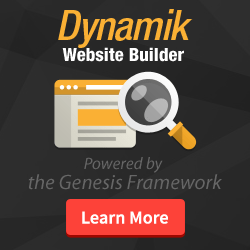 I built this site with my own little hands and by using the Dynamik Website Builder on the Genesis Framework. They aren’t free but they do most of the heavy lifting for me because I don’t know a lick of code but want flexibility, regular updates, and security. Once you own them you can build as many websites as you want. 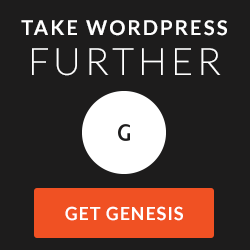 Genesis has some great templates and Dynamic has introduced some free skins to make things even simpler. If they seem like what you’re looking for in your own adventure and you end up purchasing either through the links provided I will get an affiliate fee.